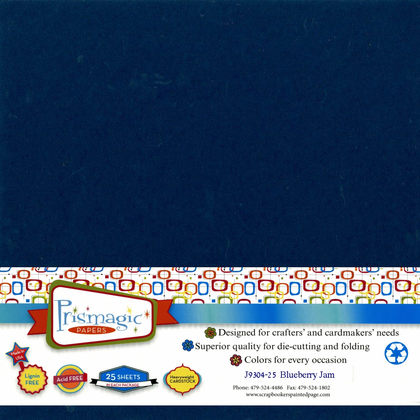 'Prismagic' BLUEBERRY JAM color cardstock is a very rich, deep midnight blue color. 80 lb. Cover Weight - Ideal for Card Making.